Tivoli Siesta Key vacation rentals. View the Tivoli Siesta Key Property Map. Siesta Key Condos, Homes and Foreclosures. Welcome to Tivoli by the Sea Resort…your ultimate vacation getaway. Tivoli is a luxurious private condominium on beautiful, Siesta Key. As a guest of Tivoli, you will reside in a dramatically styled, furnished, 2 bedroom/2 bath condominium with a balcony view of the Gulf of Mexico. You will enjoy private recreational facilities including a heated pool, tennis court, pickle ball, putting green, and the Gulf beach at your doorstep. 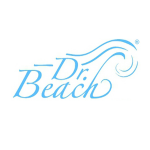 Siesta Key beaches are world renowned for their powdery, white sand made of 99 percent quartz. Siesta’s Gulf beach is rated among the world’s five best. 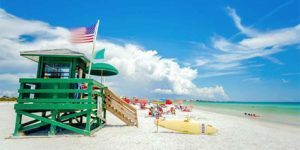 Siesta Key is a lush, tropical island with an “Old Florida” essence. It provides year round outdoor activities such as boating, swimming, beach walking, tennis and fishing. By bridge, Siesta Key conveniently adjoins the coast of Sarasota. A cultural center of Florida’s Gulf Coast, Sarasota is home to Van Wezel Performing Arts Hall, the Ringling Museum of Art, as well as theaters, greyhound racing, Jungle Gardens, fantastic restaurants, and shopping. Siesta Key itself offers great opportunities for fine and casual dining and many unique shopping experiences. 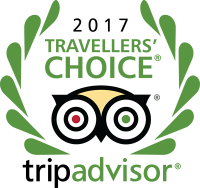 #1 Beach House Destination award through TripAdvisor. TripAdvisor announced that Siesta Key Beach is the #1 Beach in the U.S. and #5 in the World according to Travelers’ Choice. © 2019 Tivoli Siesta Key. Copyright. All Rights Reserved.